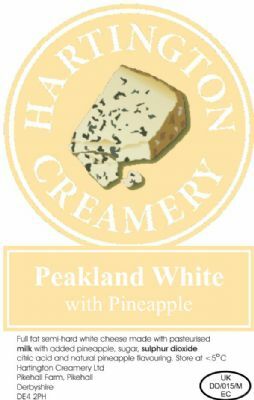 Fruit, Savoury and Smoked Cheeses | Hartington Cheese & Wine Co.
Our lovely Peakland White cheese is blended with succulent cranberries and generous pieces of orange peel. 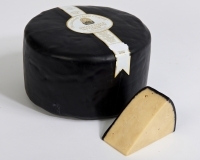 A great cheese for Christmas and throughout the year. Made at our own creamery in the Parish of Hartington. Our own Peakland White cheese blended with smoked tomato and garlic. A very tasty addition to any cheese board. Made at our own creamery in the Parish of Hartington. 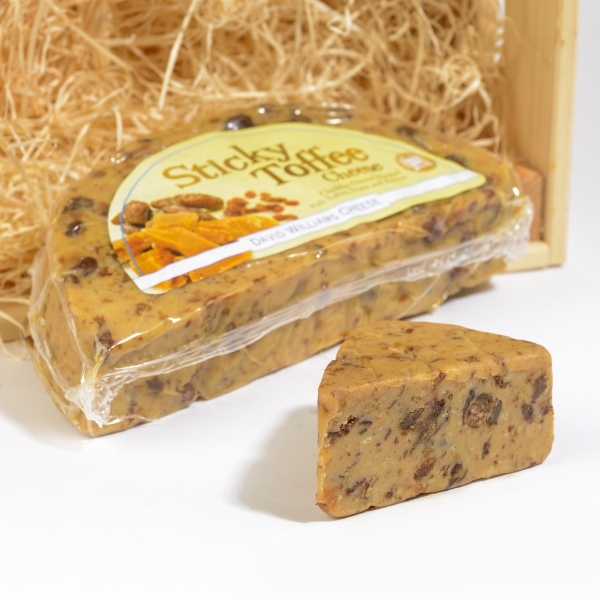 A very sweet tasting cheddar mixed with dates‚ raisins and toffee‚ almost like fudge! 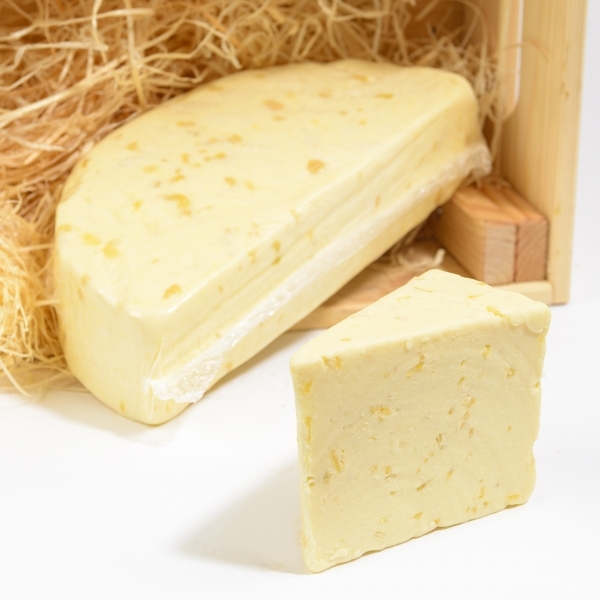 This cheese has a creamy yellow moist open texture which is complimented by a distinct beer flavour. There are four fluid ounces of Old Peculiar ale to each pound of curd. 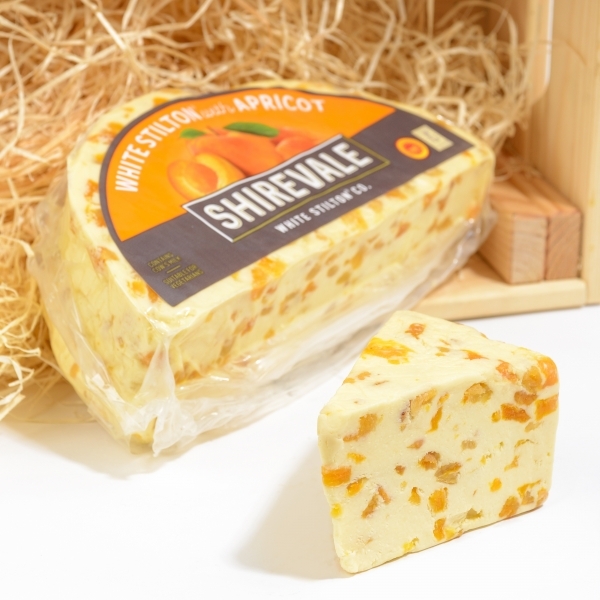 Moist succulent pieces of apricot gives a sweet twist to savoury white stilton. 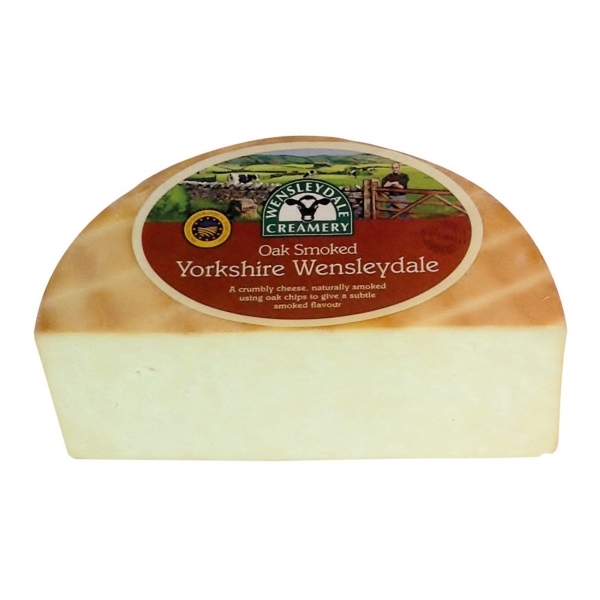 The creamy base of Wensleydale is complimented by chunks of zesty lemon. 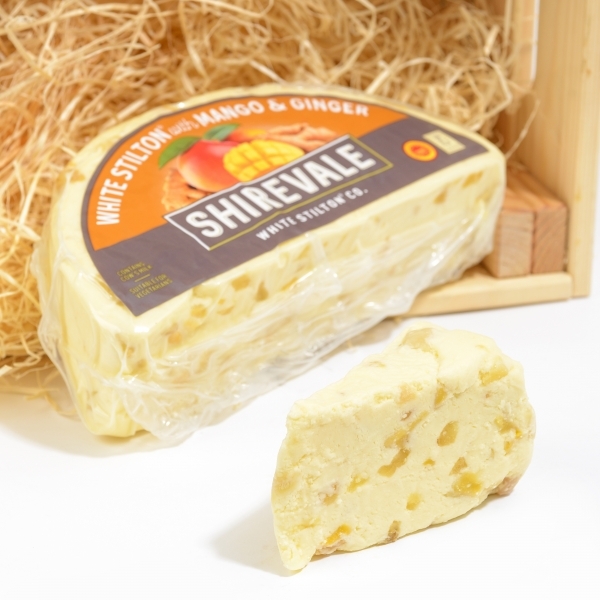 The sweet mango adds fruity flavour to white stilton base and the hint of ginger warms the taste buds. 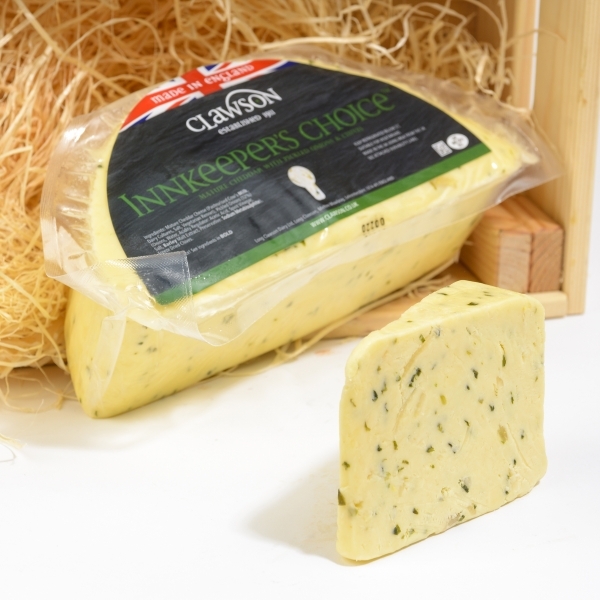 A creamy mild white stilton packed with sweet pineapple pieces. 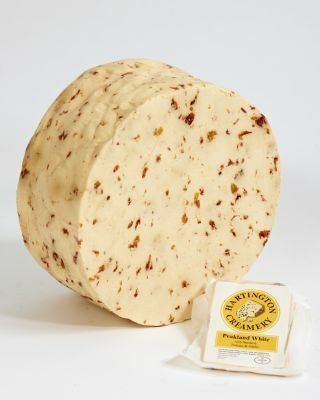 This cheese contains whole pasteurised cow's MILK‚ vegetarian rennet‚starter culture‚ salt‚ Raisins‚ Diced Dried Apple‚ (Apple Preservative (Sulphur Dioxide))‚ Cinnamon Oil and Ground Cinnamon Powder. 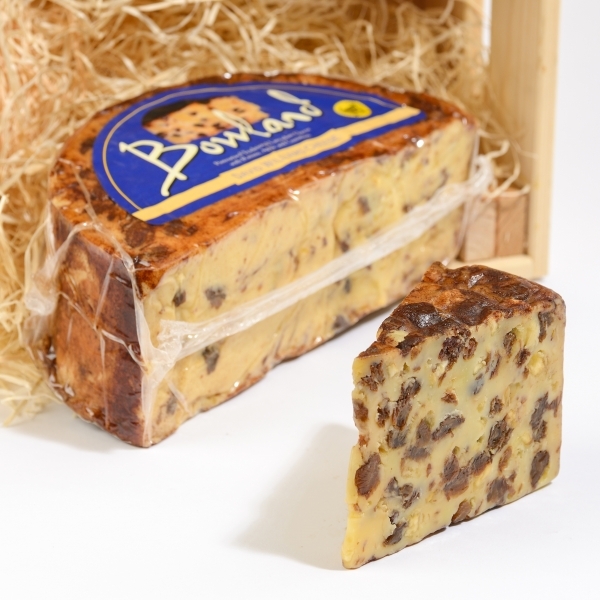 A firm creamy mature cheddar with chunks of added sweet caramelised onion relish. Tasty cheese that is great when melted. 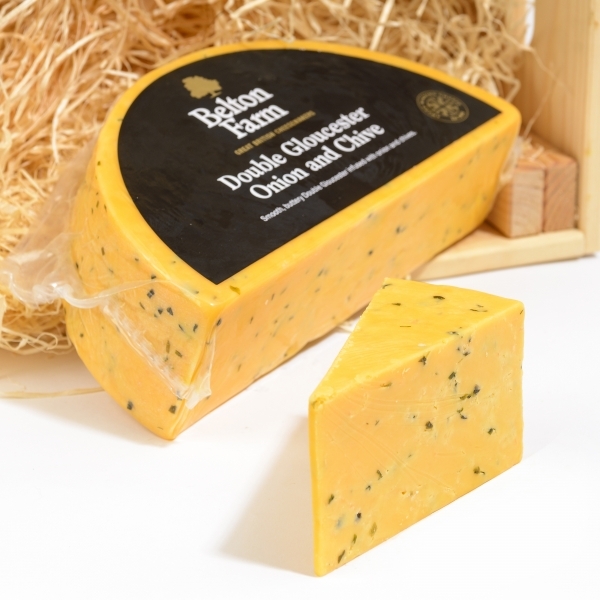 With generous flakes of chive and crispy onion‚ Double Gloucester's savoury base allows for a long lasting taste‚ fully complimented by its smooth texture and fresh aroma. 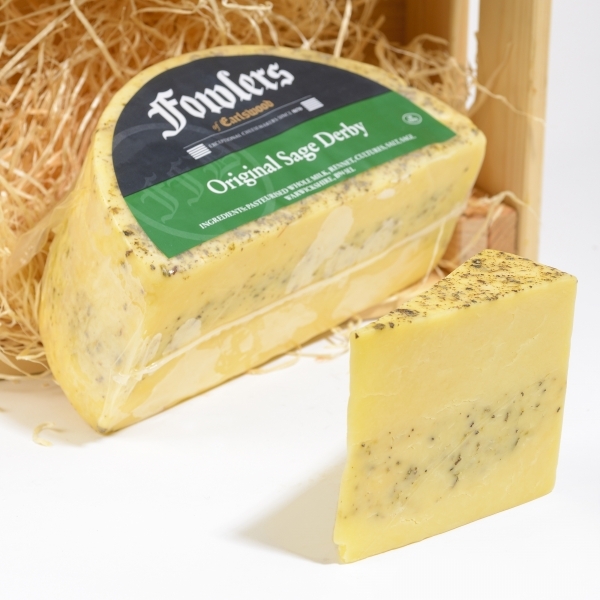 'A mellow flavoured Derby cheese layered with sage and topped with a further sprinkling of sage.Creamy traditional cheese with subtle sage taste. 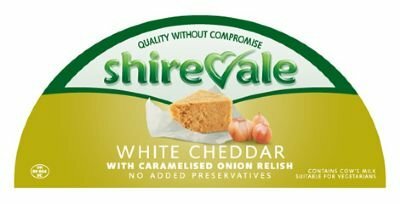 A lovely creamy mature cheddar cheese complimented with big chunks of tangy pickled onions and sprinklings of refreshing chives. 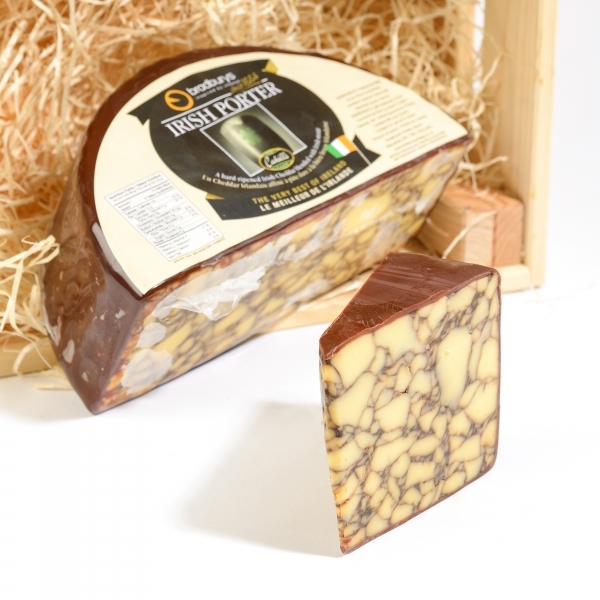 A vintage Irish Cheddar with Porter Stout brewed by Guiness in Dublin running through it to give a very distinctive brown marbling effect to the cheese. Wrapped in a brown wax. 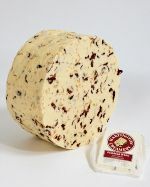 The Red Windsor is a cheddar cheese with subtle hints of Port and Brandy‚ an excellent after-dinner dessert. 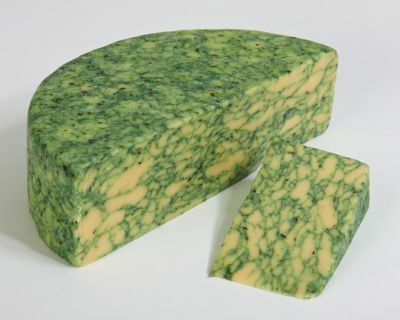 This is a green veined‚ semi-hard cheese with a delightful‚ mild sage flavour. 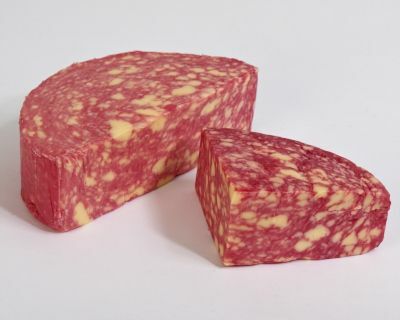 It looks very impressive on a cheese board due to its distinctive colouring and markings. This cheese contains whole pasteurised cow's MILK‚ vegetarian rennet‚ sage‚ starter culture and salt. Hereford Hop produces citrusy‚ buttery and sharp flavours together with slight bitterness of the hops. 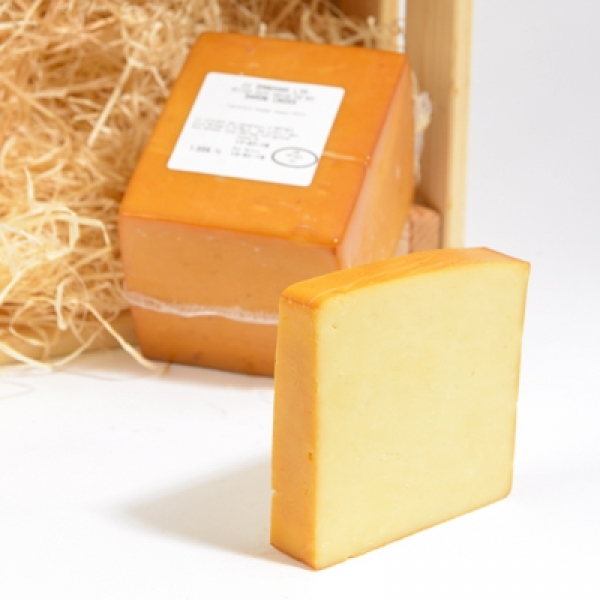 The hard cheese is made using natural rennet and full fat pasteurised cows' milk. 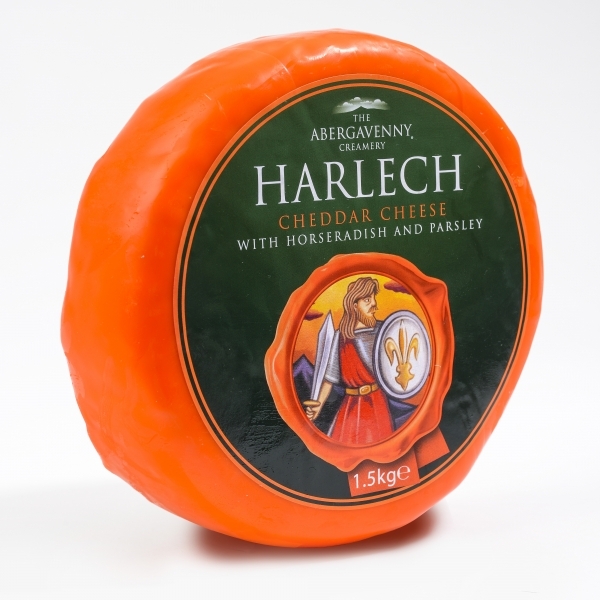 A lovely creamy cheddar made with horseradish and parsley. 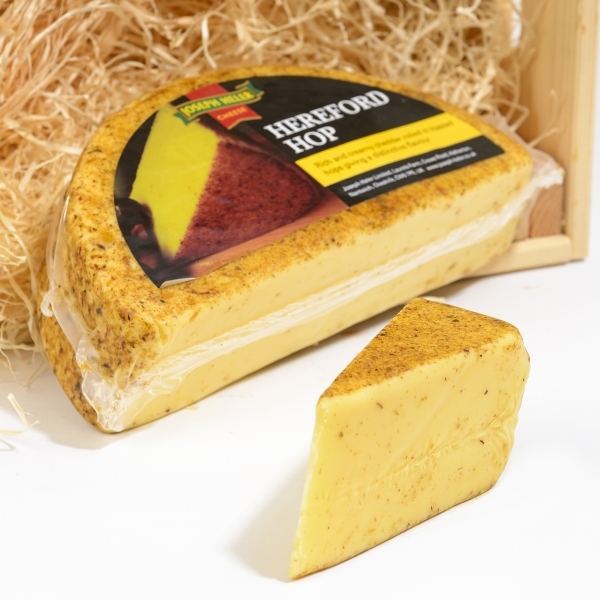 Hereford Hop is a firm cheese‚ that has a rind of toasted hops. A creamy cheese with a subtle tatse of tasted hops for that extra bit of individuality. 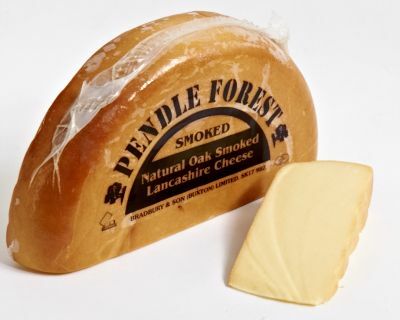 A firm‚ tasty Lancashire cheese with a natural smoked flavour. 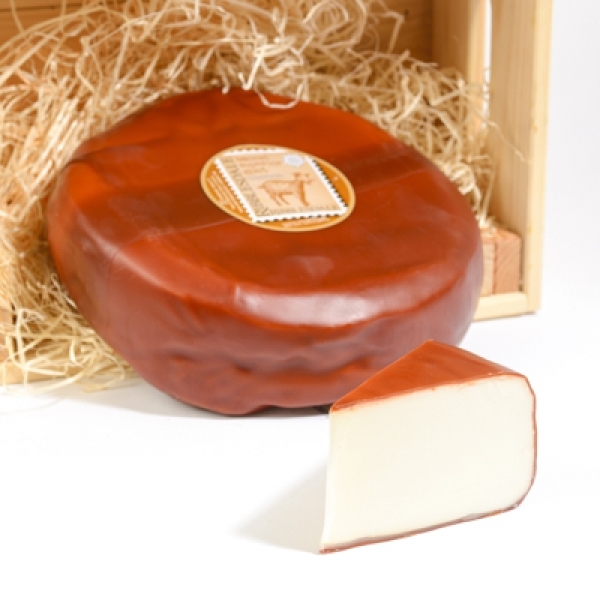 A smooth‚ silky-textured goats cheese‚ very lightly smoked so that the flavour is not overwhelmed by the smoking process. Enveloped in a coating of brown wax to preserve the cheese. 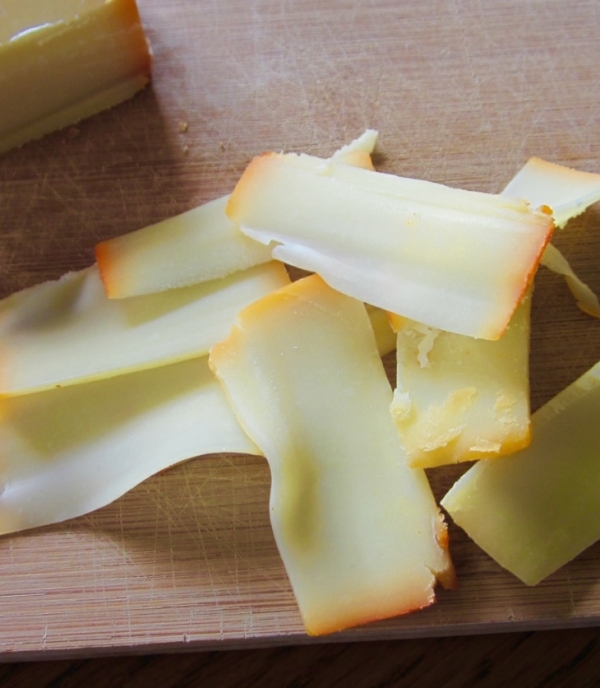 This creamy smoked cheddar is perfect for going on the cheese board. Not only does it have a wonderfully creamy taste and texture it also has an unercurrant of smokyness!